While declaring open the conference of the African region of the International Association of Habour and Ports (IAHP), President Muhammadu Buhari observed that seaports on the continent faced the same developmental challenges. He spoke on the need for cross-national initiative to develop infrastructure, particularly, those related to waterway transportation. Yet, in real terms, Nigeria cannot speak to anything, in this regard because there has been no inspiration from the country to its African neighbours on ports operations. In Lagos, Nigeria’s economic capital, evacuating cargo is tug of war. And that is the only viable port in a country of many ports. Congestion is the norm and the Buhari administration is confronted with this intractable nightmare he inherited from successors. With the horrifying traffic gridlock plaguing the Apapa and Tin Can Island ports complex in Lagos occasioned by bad roads, for instance, it takes an average of one month for trucks to access the ports to evacuate cargo. This has negatively impacted on port operations and made importers and exporters incur huge overhead costs. Therefore, for Buhari’s sermons on ports operations to sink, he must brace up to remove the logs in the eyes first. He should do at home what he is preaching to others to do in order to gain the needed moral high ground to preach efficiency in ports operations. Even some African countries have better ports operations than Nigeria, which automatically disqualifies Nigeria from mounting the podium to pontificate on efficient management of sea ports in the first place. At least, not when many importers direct their cargoes to ports in neighbouring Benin Republic and Togo for efficient service. Ports in Djibouti and Mombasa in Kenya too are rated higher. South Africa’s port in Durban is among the best in the world. Lagos port is the fourth largest in Africa but evidently the most inefficient. It is therefore curious why successive leaders from 1999 till date, have ignored the renewal of Lagos ports and upgrade of ports in the Niger Delta region, notably in Calabar, Port Harcourt, Warri, Sapele, Uyo and others locations in the oil-rich region of Nigeria. 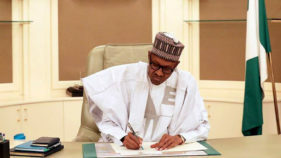 At the same conference, Buhari who reportedly directed that all the country’s seaports be connected by rail for improved evacuation of cargoes to the hinterland, also noted that his administration was constructing about 70 major highways across the six geopolitical zones. This was a cheap political point to make considering that what was at issue was the abysmal state of ports infrastructure in the country and not the state of highways. Even at that, there is also no good news about road infrastructure as there have been grumblings nationwide over the deplorable state of the road networks. In the same vein, the comatose rail system government claimed was being revived, has not been extended to the ports. The ports need railway to be efficient. Interconnectivity will improve the country’s economic competitiveness as targeted under the Economic Recovery and Growth Plan. This newspaper would like to reiterate that those who are in charge of transportation in Nigeria should freeze political activities and pay attention to the development of infrastructure in that area including the maritime sector. The two ports in Lagos – Apapa and Tin Can – have been overstressed. Therefore, the need for the full reactivation of all the other eight ports on the Atlantic seaboard that have remained moribund for only God knows, cannot over pleaded. 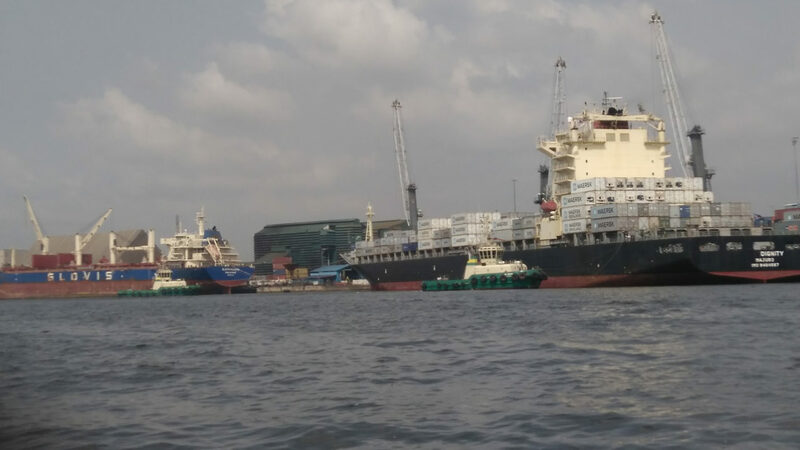 It is the only way to go in view of the situation in the Lagos ports. This, again, it brings to the fore the issue of federalism. Why can’t the coastal states in the South-South geopolitical zone develop ports in their areas and operate them? Why is the Federal Government holding on to ports exclusively when it can’t develop them? In most democracies, ports are developed and managed by local or city authorities. It shouldn’t be different here. Ports in Nigeria should be run outside the Federal Government by state or even local councils where they are located. 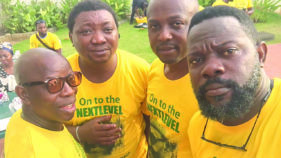 The Apapa Local Government Council in whose jurisdiction the Apapa ports are located should be involved in their running and they should only pay taxes to federal authorities where necessary.